The call for fellowships 2019/20 is closed. The next call for fellowships 2020/21 will be published in summer 2019. The University of Freiburg, one of the strongest research universities in Germany and member of LERU (the League of European Research Universities), offers a fellowship programme, the Marie S. Curie “FRIAS COFUND Fellowship Programme (FCFP)”. About 25 incoming or reintegration fellows per year (juniors and seniors) from all disciplines are given the opportunity of spending three to twelve months working on their own research project at the university’s research college, the Freiburg Institute for Advanced Studies (FRIAS). All fellows funded by the FCFP distinguish themselves by qualifying as Marie S. Curie Fellows. The university welcomes top researchers from abroad to give their input to its scholarly community, both in terms of research expertise and benefitting the university’s vibrant research culture and diversity. The current call invites applications for fellowships for the academic year 2019/20. Application deadline is 15 September, 2018. Successful applicants will conduct their fellowship between September 2019 and September 2020. Since its inauguration in 2008, more than 550 fellows have stayed at FRIAS. The Institute supports internationally outstanding researchers with academically excellent and innovative research projects through individual or group fellowships. FRIAS unites research in the humanities and social sciences, the natural and life sciences, engineering and medicine. Both the University of Freiburg and FRIAS take pride in a specific institutional culture that encourages and supports exchange and collaboration. It is the philosophy of FRIAS to support the career development of its fellows by integrating them into ambitious research communities here in Freiburg, as well as by supporting the international network of FRIAS fellows and alumni. The Marie S. Curie FCFP is intended for current or future leaders in their fields. The fellowships are awarded through a highly competitive, strictly merit-based selection process (expected success rate: ~20% of eligible applications). Applications are invited from academics of all nationalities. Note, however, that applicants may not have resided or carried out their main activity (work, studies etc.) in Germany for more than 12 months in the three years immediately preceding the call deadline. Compulsory national service and/or short stays such as holidays are not taken into account. For the fellows, the programme offers outstanding research opportunities, not only in the research environment of an internationally highly competitive university, but also with the added advantage of being part of a community of fellows from different disciplines at FRIAS. Furthermore, they receive support for research mobility and become more familiar with the German and Upper Rhine research landscapes, thus enhancing their opportunities for continuing their career in the heart of Europe. 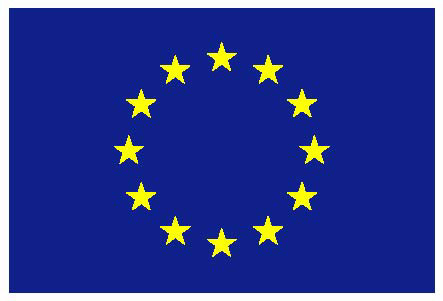 The Marie S. Curie FCFP is co-financed by the European Union through the Horizon 2020 research and innovation programme “Marie Skłodowska-Curie Action, People, Co-funding of regional, national and international programs (COFUND)" and the state of Baden-Wurttemberg.